You should not be here!! Click here to go to the correct page. 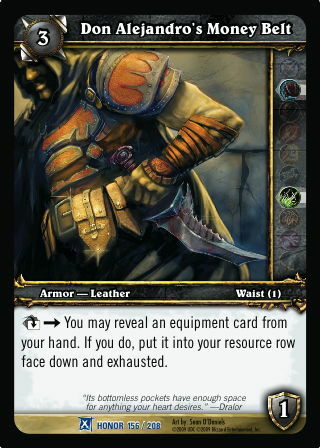 Rules: [Exhaust] -> You may reveal an equipment card from your hand. If you do, put it into your resource row face down and exhausted.